Home Movie Batman V Superman: Dawn of Justice Will Make History in Film Industry? Batman V Superman: Dawn of Justice Will Make History in Film Industry? In contrast to their eternal enemies, Marvel, DC Comics does tend secret project their superhero films. But it seems one of the most anticipated films they, BATMAN V SUPERMAN: DAWN OF JUSTICE will bring something extraordinary new. Even the character of Superman, Henry Cavill, BATMAN V SUPERMAN assess if: DAWN OF JUSTICE will print a new history in the world film industry. Cavill promised if the film directed by Zack Snyder will give a visual spectacle that is truly remarkable. Speaking to the Daily Mail, Cavill spoke up, "We will make history in the world of film. 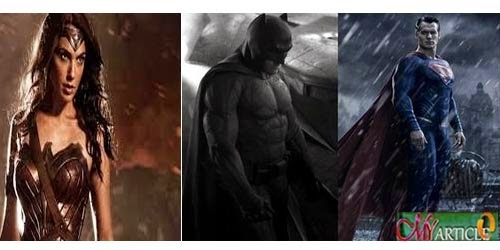 We made Batman, Superman and all of us make it happen at the same time," as reported by Digital Spy. Even the 31-year-old actor also hope, "May all of it will be as exciting as I expected," As alluded to whether the input he gave to Ben Affleck who plays Batman, Cavill argues, "Put? It's about Ben Affleck. I guess I do not need to give advice. He's really great. She's incredible,"
BATMAN V SUPERMAN: DAWN OF JUSTICE also will be the first film featuring Wonder Woman (Gal Gadot) in a modern version, Cyborg (Ray Fisher) and Aquaman (Jason Momoa). Also enemy iconic Superman, Lex Luthor (Jesse Isenberg). Scheduled, BATMAN V SUPERMAN: DAWN OF JUSTICE will be released on March 25, 2016.